Light-field capture and visualization are one of the most promising futuristic applications of the glasses-free HoloVizio technology by creating a real “sense of presence” by smooth horizontal motion parallax. The system is comprised of the capture and display subsystem with a general purpose network in between them. 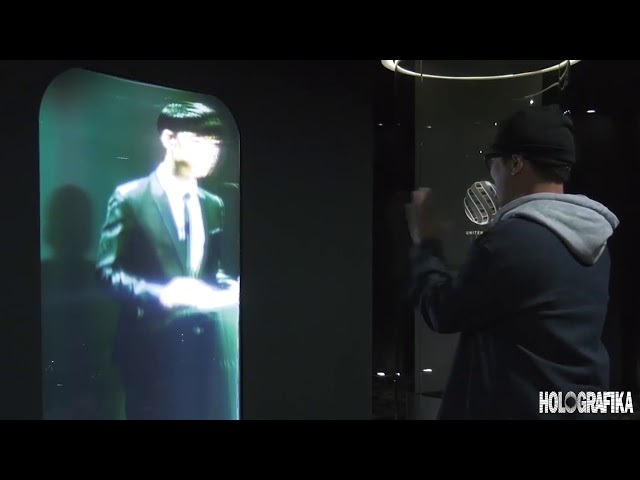 End of 2017 Holografika supplied the 3D telepresence system, so called “Hologram Conference Room” for the futuristic ‘HI Land 2047’ exhibition of SK Telecom, the largest Korean mobile telecom company. The exhibition is currently available to visitors in the center of Seoul, in SKT HQ ICT center, T.um.